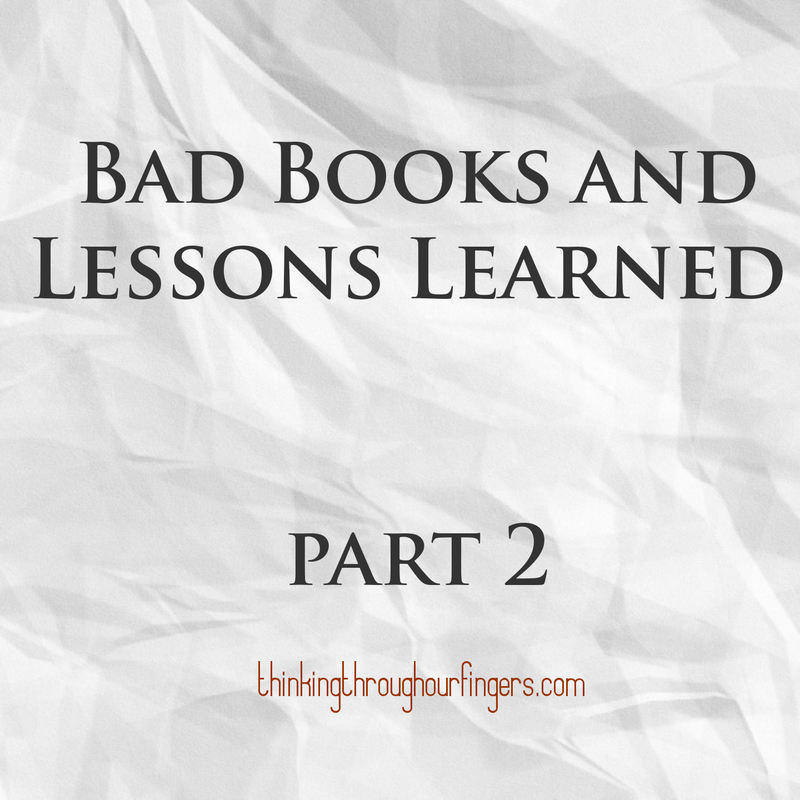 The last time we met, we were talking about bad books and what you can learn from them. I gave out three little tidbits to take away from a bad book: Know Your Audience, Let Your Voice Shine, and Use Your Assets. As I said then, there is plenty more to take in if you happen to find yourself reading a bad book and wonder why you’re lingering in publishing limbo. Here are three more things that at least I have been able to deduce from bad books. Spell Check is NOT an editor. I’m not the greatest speller myself so I can understand leaning on the little electronic godsend when you’re at the computer. However that doesn’t mean it is an editor. A couple examples I have are in one book the word “break” was constantly exchanged for “brake” like car brakes. I knew what the author meant but it was jarring to read over “heartbrake” and “brake my heart” since I had to keep fixing the words while I was reading. Another was a character named Paige. I only know that was the character’s name because it was written the very first time she made an appearance. After that her character was written as “page”. Seriously. Every time she came up it was page. Spell Check did its job. It said the words were spelled correctly. That doesn’t mean your tenses are in order, that words need to be trimmed, or that a sentence shouldn’t be over a page long. Whether you seek professional help or you have the greatest alpha and beta readers, you need to have your book edited! No matter what you may think of a book, no matter how ludicrous a premise you may think the story is, the author kept writing. No one told them that the market wasn’t looking for their work or if they did the author kept rolling. They kept moving forward when they received rejection letters. They just kept writing! It’s easy to get discouraged, especially when you perceive your own work to be better. However you need to keep moving on with your work. This is the main thing I need to take hold of. No matter how miserable a book may be, that author had the guts to put their work out there. They trusted that they had the skill and the audience to sustain themselves out in the market. Heck, some authors have contracts so that means a whole publishing company got behind them. So what did they do differently than you? They got it out there. Period. Don’t let self-consciousness and fear keep you from living your publishing destiny.